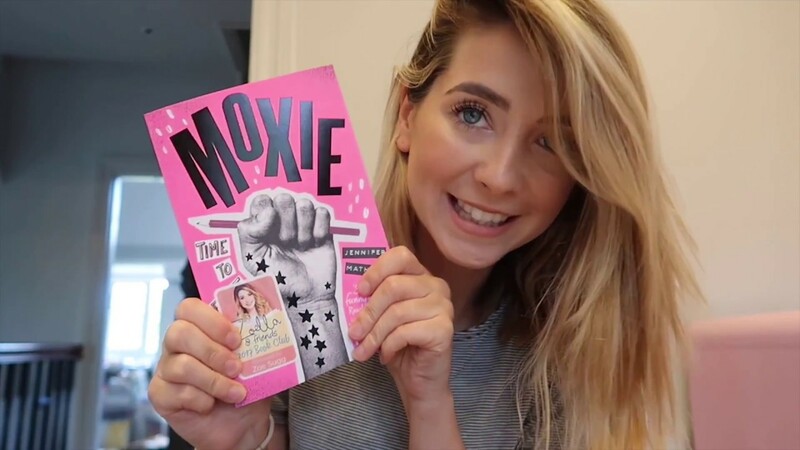 Is this Zoella book club title worth the hype? United By Pop received a free copy of ‘Moxie’ in exchange for an honest review, all opinions are our own. There was a lot of hype around this book, especially as it was picked to be part of YouTube queen Zoella’s book club, but believe the hype! It was a sparkling, smart, scintillating read from start to finish. Vivian is realistic and relatable and I adored the relationships she had with her friends, mother and grandparents. The story focuses on the vastly different treatment and attitude to boys and girls in the local town and high school, and how Viv is desperate but also scared to do something about it. As the plot developed, I got more and more frustrated and outraged by the actions of many of the boys and teachers in the novel; to the point where I was up until the early hours finishing the book. I was desperate for the Moxie girls to fight back and win – but I’m not giving anything away! I was a little disappointed by the romantic relationship that Viv develops with Seth initially, thinking, this was another YA book that feels it needs romance. But, Seth is essential to showing a) feminism is not just for women, and b) being a feminist doesn’t mean you’re a lesbian or anti-men. Viv wishes to be the anonymous voice behind the Moxie zine, which is obviously fine, but they are handwritten! Is no one in school going to recognise her handwriting? Not even her best friend of forever? This was a bit of a sticking point for me. I wasn’t really introduced to feminist fiction until I was in university, so I sincerely wish this book had been around and placed in my hands when I started high school. Whilst I never experienced anything quite as extreme as Viv and her classmates do, a patriarchal, male-dominated society has existed forever and I don’t think my teenage-self was aware of this as much as I could have been. Mathieu’s book would not only have taught me a thing or two but also made me feel empowered and inspired me. Is there going to be a Moxie 2? I hope so! Moxie is available now in the UK and to pre-order in the US.